Here's A Glorious New Poster For STAR WARS: THE FORCE AWAKENS | Warped Factor - Words in the Key of Geek. Drew Struzan is the man who has provided the iconic painted posters for the Star Wars movie series, ever since his first one appeared in 1978 for the re-release of the original movie. After a career which saw him design the primary posters for such films as Blade Runner, Indiana Jones, Back to the Future, The Muppet Movie, First Blood, The Goonies, Hellboy, Harry Potter and the Sorcerer's Stone, and many many more Struzan put his oil paints back in the box and enjoyed a well deserved retirement. It also gives us a little bit of fresh information - being that John Boyega's character, Finn, will apparently be a Jedi! As we can see him here for the first time brandishing a lightsaber. 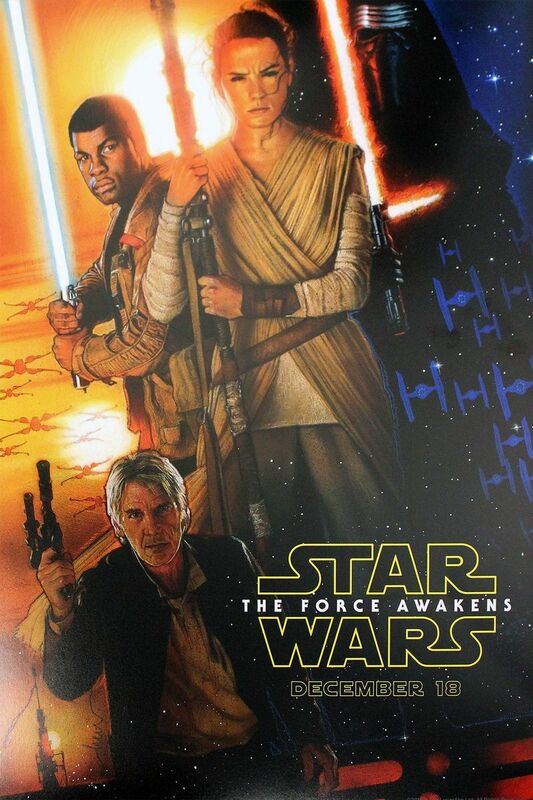 It's also great news to discover that this will not be Struzan's only poster for the new Sta Wars film. This one was created as a promotional poster for attendees at the D23 Expo, and he will produce a primary one for release alongside the movie. And let's hope he sticks with the series through the rest of the new films. 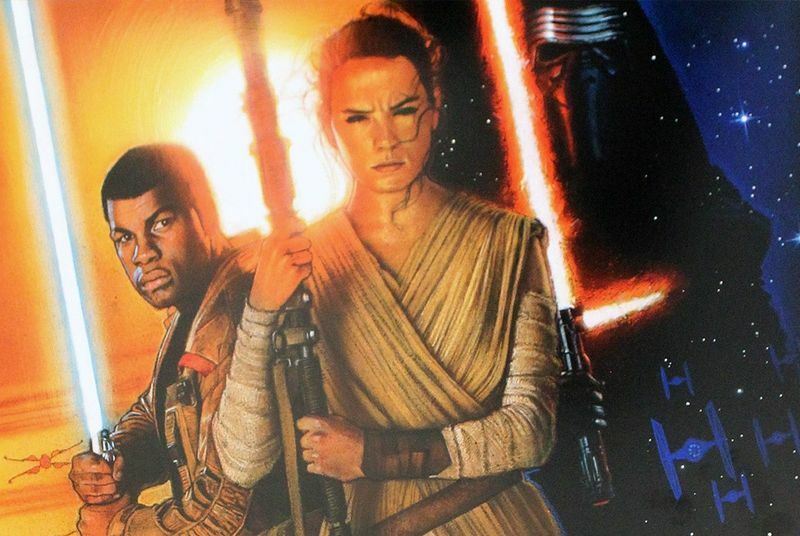 Star Wars: The Force Awakens arrives on December 18th.